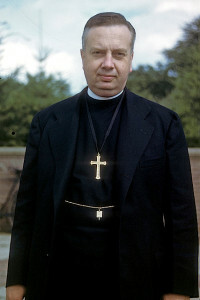 In 1962, Fry engineered the merger of the ULCA with three other independent bodies – the Finnish Evangelical Lutheran Church of America, the American Evangelical Lutheran Church and the Augustana Lutheran Church – to form the 3.3 million-member Lutheran Church in America (LCA), presiding over remarkable denominational growth at the time. Fry is also credited with sowing the seeds for the eventual 1988 merger to form the current Evangelical Lutheran Church in America. Fry sharpened many of his intellectual tools at the seminary, but not always in a typical way. A Phi Beta Kappa graduate of Hamilton College, Fry and other classmates disapproved harshly of the inferior training they received at the still young seminary. 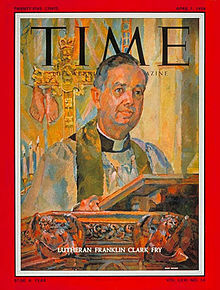 “I recalled that as a seminarian Franklin Clark Fry had been a brilliant student, faithful and conscientious in his work, and even in class attendance, but highly critical of the curriculum and of many members of the faculty,” said the Rev. Dr. Luther D. Reed, who gave remarks about Fry’s seminary years during a dinner honoring the ULCA leader in 1955. 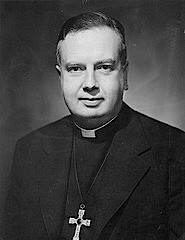 Reed, eminent professor of liturgy at the school, its librarian and its President (1938-45), shared his remarks in a chapter found in Franklin Clark Fry: A Palette for a Portrait, a 1972 supplementary number of the Lutheran Quarterly, edited by Robert H. Fischer. 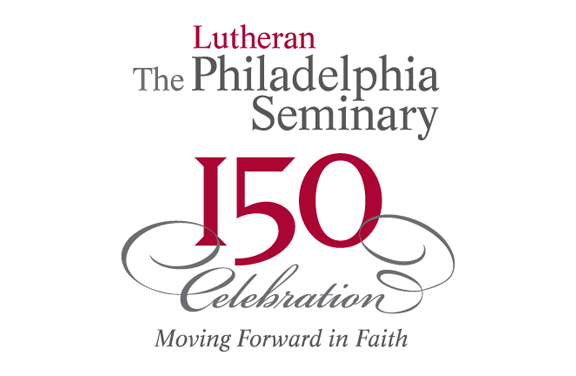 “It had been fully expected that his father, Dr. Franklin Foster Fry, would be elected to succeed his grandfather, Dr. Jacob Fry, as professor of practical theology in the Philadelphia Seminary,” Reed said. “When the board of directors met, however, for some reason unknown to me, they elected Dr. John Conrad Seegers to this position. Franklin Clark Fry took this as an insult to his family, and he came to the seminary with chips on both shoulders. He himself had the advantage of excellent education with a year as graduate research assistant in Athens (Greece)….He soon detected weaknesses in the curriculum and the faculty and openly showed his scorn of both, while meticulously meeting all requirements of the institution. With stringent modern-day accreditation standards leading to frequent curriculum changes and demanding standards, it would be hard to imagine such a harsh critique today.